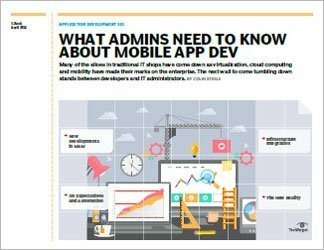 Mobile developers are looking to new technologies and approaches to alleviate pressure placed on them by increasingly short timelines and budget cuts. They’ve found that mobile application development and cloud computing are a perfect fit. For developers looking to accelerate the delivery of mobile applications, cloud-based services are a godsend. Platform-as-a-service, software-as-a-service and infrastructure-as-a-service offerings allow CTOs to spend less time on setup and configuration and more on writing code. 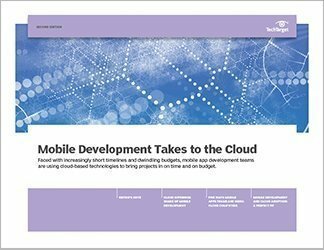 In this three-part guide, TheServerSide contributors tackle mobile application development in the cloud. First, Cameron McKenzie, site editor, digs into the specifics of cloud-based offerings. McKenzie also touches upon corporate attitudes toward cloud-based technologies. Many large organizations remain reluctant, but that’s not holding development teams back. 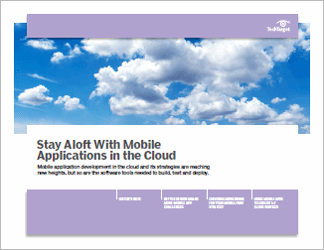 In the second article, Jason Tee outlines five ways mobile application teams have taken advantage of cloud computing technologies. Sal Pece closes with a discussion on why mobile development teams are more likely to employ cloud technologies to deliver Web-based applications than enterprise development teams. For Pece, there’s one big reason: governance.